On Friday, March 9, the myrrh-streaming Icon of the Mother of God "Softener of Evil Hearts" arrived in New York City from Moscow. 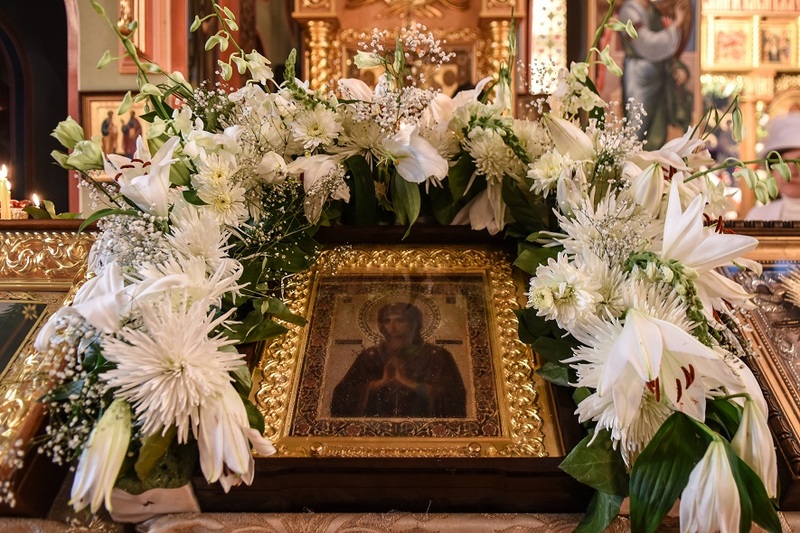 The icon and its guardian were greeted by the secretary of the Eastern American Diocese, Archpriest Serge Lukianov. Holy New Martyrs of Russia Church ‒ Brooklyn, NY at 4:00 PM. St. Alexander Nevsky Russian School ‒ Howell, NJ at 12:00 PM. St. Alexander Nevsky Cathedral ‒ Howell, NJ. 4:00 PM: Holy Unction. Bishop Nikolai (Soraich). Lenten Clergy Retreat. Metropolitan Hilarion. Holy Transfiguration Church ‒ Baltimore, MD in the evening. Holy Apostles Church ‒ Beltsville, MD. St. John the Baptist Cathedral ‒ Washington, DC. 6:00 PM: Holy Unction. Bishop Nicholas of Manhattan. Joy of All Who Sorrow Church ‒ Philadelphia, PA.
Christ the Savior Church ‒ Wayne, WV. Holy Cross Monastery ‒ Wayne, WV. St. George Church ‒ Cincinnati, OH. Holy Trinity Church ‒ Milwaukee, WI. Holy Virgin Dormition Church ‒ McKeesport, PA.
Nativity of the Theotokos Greek Convent ‒ Saxonburg, PA.
Holy Protection Greek Convent ("Agia Skepi") ‒ White Haven, PA.
St. Tikhon’s Monastery ‒ South Canaan, PA.
Inexhaustible Chalice Metochion Church ‒ Brooklyn, NY. 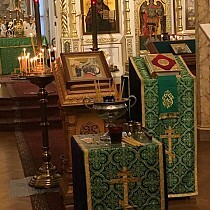 Synodal Cathedral of the Sign ‒ New York City. 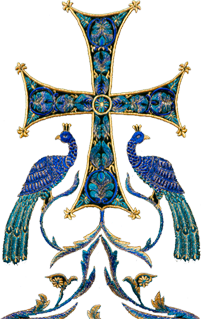 Holy Trinity Monastery ‒ Jordanville, NY. Metropolitan Hilarion & Bishop Nicholas. Holy Protection Skete ‒ Buena, NJ. The Icon returns to Russia.